384 pages | 62 B/W Illus. 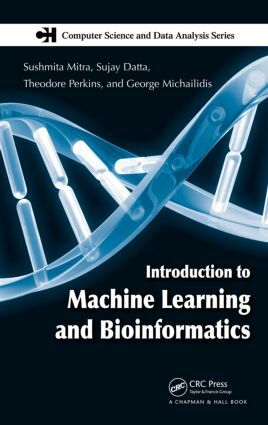 Focusing on both fundamentals and recent advances, Introduction to Machine Learning and Bioinformatics presents an informative and accessible account of the ways in which these two increasingly intertwined areas relate to each other. The book begins with a brief historical overview of the technological developments in biology. It then describes the main problems in bioinformatics and the fundamental concepts and algorithms of machine learning. After forming this foundation, the authors explore how machine learning techniques apply to bioinformatics problems, such as electron density map interpretation, biclustering, DNA sequence analysis, and tumor classification. They also include exercises at the end of some chapters and offer supplementary materials on their website. Shedding light on aspects of both machine learning and bioinformatics, this text shows how the innovative tools and techniques of machine learning help extract knowledge from the deluge of information produced by today’s biological experiments. … The stated audience for this book is M.S. and Ph.D. students in bioinformatics, machine intelligence, applied statistics, biostatistics, computer science, and related areas. … a well-written collection from multiple authors that I recommend for the intended audience. Several chapters include exercises. … a well-structured book that is a good starting point for machine learning in bioinformatics. … Using many popular examples, the statistical theory becomes comprehensible and bioinformatics examples motivate [readers] to apply the concepts to real data.